As you may have seen very recently on the news, a recent decision by the European Court of Justice (“ECJ”) has significantly changed the law concerning collective redundancies and what is meant by the interpretation of the term “establishment”. From an employer’s perspective the interpretation by the ECJ of the term “establishment” means that the activation to collectively consult on a redundancy procedure has to be the proposed dismissal of 20 employees in one establishment – rather than 20 employees across all of the respective employers’ different establishments. This decision will now be referred back to the Court of Appeal to make a judgement based on the ECJ decision. It is likely that the Court of Appeal will allow the appeal and the outcome will be that the former employees of Woolworths and Ethel Austin who were redundant will not be entitled to receive a protective award. A protective award can be issued by an Employment Tribunal when there has been a failure to inform or consult in respect of a collective redundancy; and this award can be up to 90 days’ uncapped pay for each affected employee. This potentially means that well over 4000 former employees will be potentially denied access to a protective award as a result of this decision. Clearly this decision will be welcomed by employers because it means that collective consultation will only be required in a redundancy procedure in respect of each establishment at which they are proposing making 20 (or more) employees redundant over a period of 90 days. No collective consultation will be required in respect to establishments where less than 20 employees are at risk of redundancy during the same period of time. 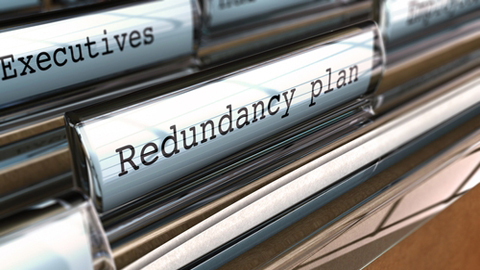 This will inevitably lead to a watering down of the respective obligations for an employer in a collective redundancy procedure. Predictably the Trade Unions are not at all happy with the result of this Judgement by the ECJ and have already indicated that they will be looking for a change in legislation in respect of collective redundancies. If you have any further queries about this or require any further assistance on employment law matters please contact Nick Smith at nsmith@mincoffs.co.uk or 0191 212 7739.